Knee pain can affect anybody at any age. 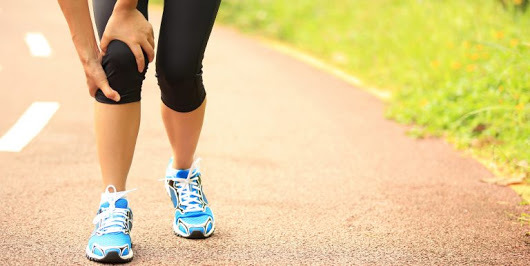 Acute injuries like tearing a ligament, torn cartilage, or some complicated medical problems like arthritis, gout, and infections can be the causes for knee pain. Knee pain may spread all over in the knee or can be restricted to a limited area. How to Treat Knee Pain Symptoms? A knee pain can range from mild to severe. At times it may cause difficulty in walking, running or sitting. The knee pain can also appear with swelling, redness, and won't let the knee bend. The minor knee pain can be treated with simple self-care measures. Ayurveda provides various treatment options for effectively handling the knee problems and associated pain. With the help of Ayurveda methods, one can reduce both the pain as well as the rapid swelling. A Long-lasting relief from pain can be achieved through this. Chronic knee pain which is the after effect of the joint swelling is cleared by the application of Ayurveda treatment. Herbal medications together with Ayurveda therapies are highly effective and are the better result makers in reducing pain and swelling. Ayurveda also offers several herbal treatment options to reduce knee pain. Ayurveda herbs and oils which are having anti-inflammatory properties are capable of reducing the knee pain without any side effects and completely save the knee from the pain. Herbal oils easily penetrate into the skin, resulting in a rapid relief from knee pain. Agasthya Ayurvedic Medical center, Alleppey has best facilities to analyze the source of knee pain in the affected people. The doctors of Agasthya Ayurveda Medical Center will physically examine the patients to understand their problem and accordingly determine Best suitable Ayurveda treatment for the knee pain.